To say we’ve been having an awesome week in Hope&Glory would be an epic-scale understatement. Foremost amongst the entertainments has been launching O2’s Bigger Big Bundle pay-as-you-go tariffs. And we never thought we’d say that! Anyway, to crack the brief on this thorny little brief, we came up with the idea that O2 could “Big You Up” via a set of social media videos – just making people feel great and, most of all, rewarded. 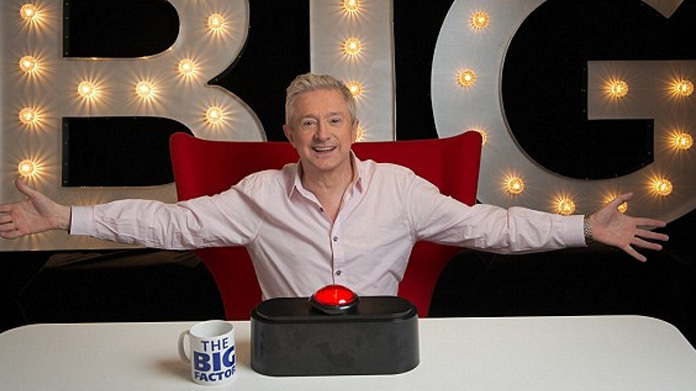 And who better to give great news that Louis Walsh? The man is, after all, the most relentlessly positive of all of the (former in Louis’ case) X-Factor judges. Some stunning interviews with the Daily Mirror, Daily Mail and PA led to awesome pre-launch coverage. Meantime, news that we were offering to Big Up the nation delivered yet more. Some cunning live media relations based on what Louis said in his videos – whether hinting that Nick Grimshaw might be an X Factor judge or that Harry would head to Hollywood or wishing Zayn the best of luck – delivered yet more coverage around the world. Just some of the coverage included … Daily Record, Daily Mirror (here, here and here), HEAT (here and here), PA, Daily Express, Reveal, METRO, Daily Mail. Meantime, we had the absolute joy of selling stories as Louis neatly delivered them to camera. That led to staggering pieces across PA, each of which can be seen here and here but which were syndicated to over 500 outlets. Each. Across social channels there were over 1,800 messages about the activity from members of the public, celebs and the media. Those delivered over 11 million organic impressions and reached 7 million people in the space of 48 hours. All in, we hit around 2,500 pieces of editorial coverage. The impact of all that is being calculated even as we write but safe to say that, so far, the whole thing has met and exceeded all expectations.